If you love shopping for unique items, local designers, and urban ambiance then Bunky Boutique is just the place for you! I originally caught wind of this gem when I met a friend for a cup of joe at Giant Coffee (which is the boutiques adjoining neighbor). The owner Rachel Malloy has an amazing way of curating the perfect blend of pieces made by established designers as well as local talent. As a huge proponent of shopping local, it is great to see what quality talent our own area code has! One thing that stands out about this boutique is that there is literally something for the whole family! From skinny jeans to sundresses for the ladies, plaid button-ups and snapbacks for the fellas to an array of out of this world onesies this boutique has just what you need to put a smile on your or a lucky gift recipients face. Lauren from JANI Model Management has a classic all American girl vibe about her! With her sun streaked hair and her bright blue eyes she looks good in practically everything! Since spring is in the air, I naturally gravitated towards this coral sundress with embellished details. The hi-low cut makes it great for work or play depending upon what you wear it with! 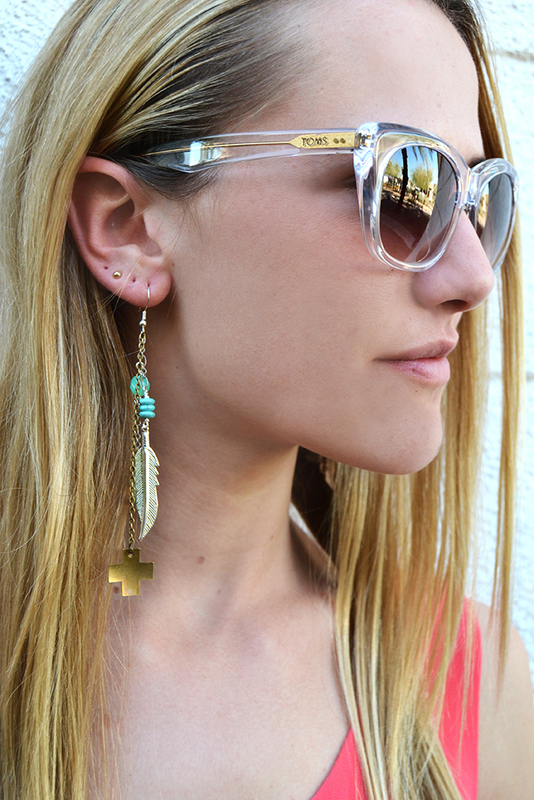 Bunky has a great selection of sunglasses, and these clear frames by Tom’s look perfect with this look. If you are like me, then you love two things…black, and leather! When I saw this black tank with woven and leather detailing I got goosebumps! Just because it is spring dosen’t mean you have to stop wearing either! This tank is versatile and can be work with cropped jeans like Lauren is wearing for the feature or thrown casually over cutoffs. 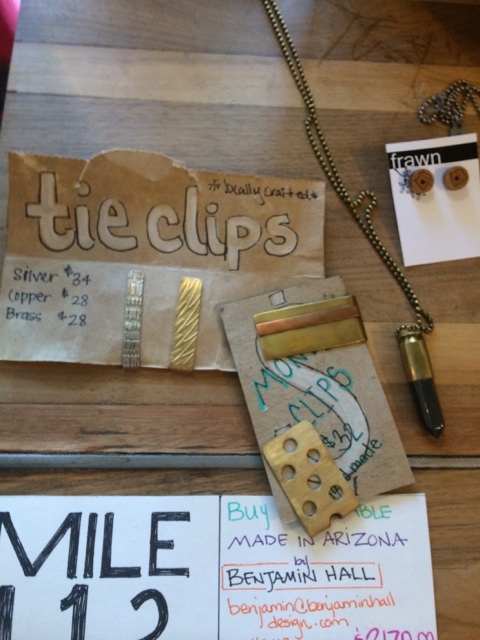 I love the Phx and 602 necklaces that Bunky carries. 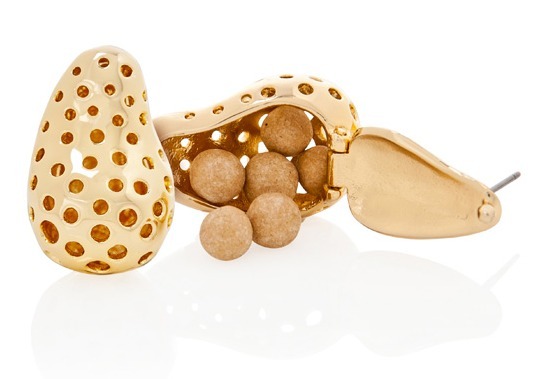 They are made by a local jewelry designer and are a great way to make a personal statment! Just because you don’t have a boyfriend doesn’t mean you can’t rock the ‘I got this from my boyfriend’s closet’ trend! Bunky has the most amazing men’s selection girl’s will want to shop that section too (In fact, I stole the plaid shirt pictured below from there)!!! 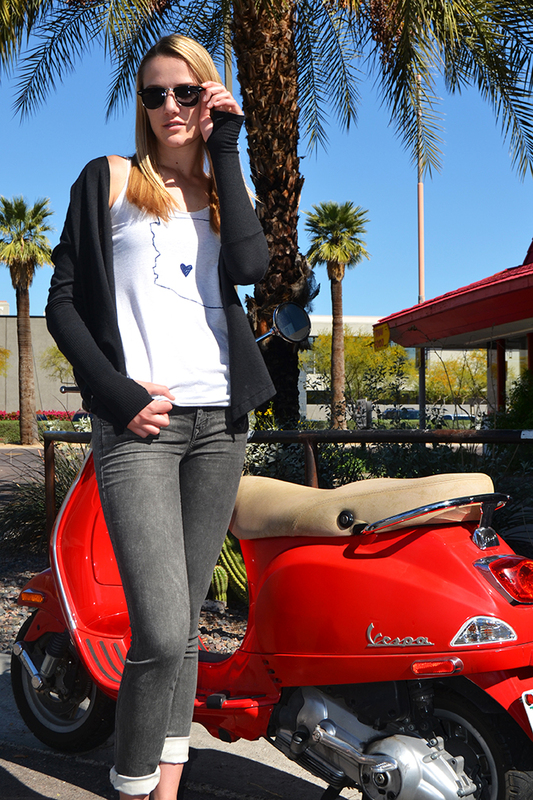 Bunky has this Arizona love shirt in Women’s, Men’s and kids (even onesies for the baby!) 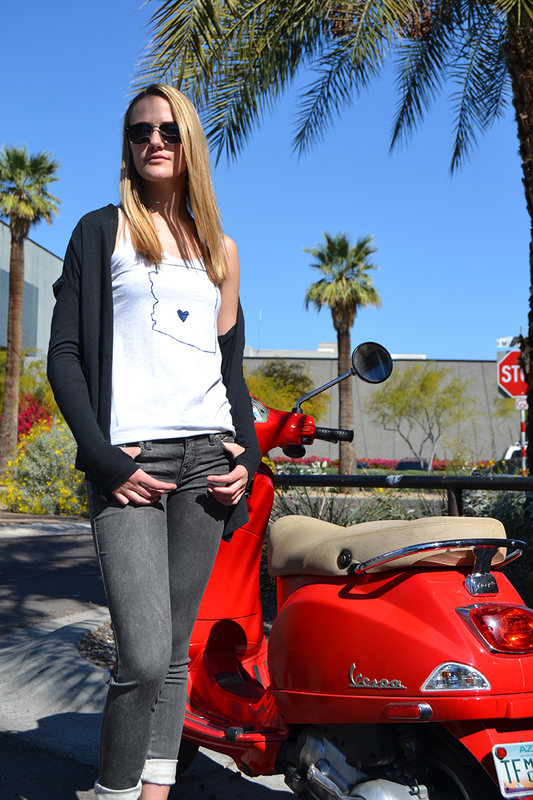 It is the perfect souvenir for out of towners, but also the perfect statement T for the locals! 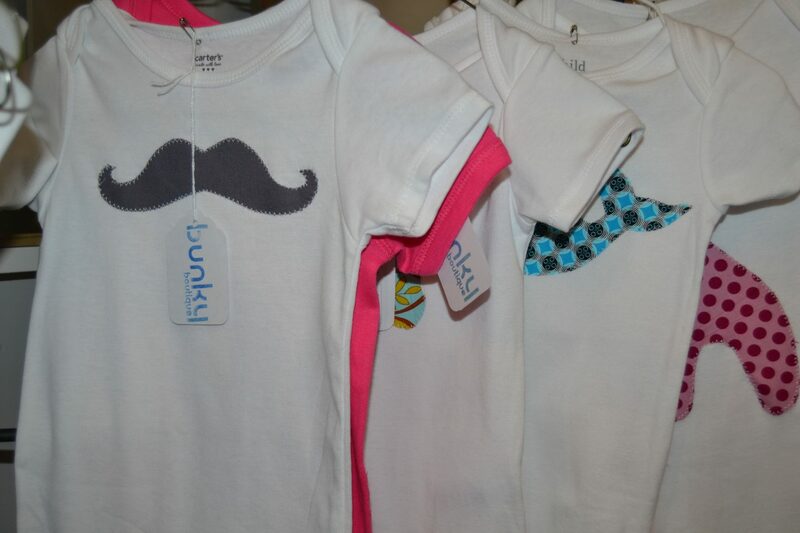 Make sure to check Bunky Boutique out next time you are downtown and pick up something you will never want to put down!